A man has been jailed after pleading guilty of nine offences, including fraud and burglary. Raymond Starkings, aged 29, of Quarry Close, Enstone, Chipping Norton, was sentenced at Oxford Crown Court on Tuesday, June 6, to three years and ten months’ imprisonment. Starkings went on a crime spree across Oxford, committing offences against multiple victims which included five counts of non-residential burglary and four counts of fraud. 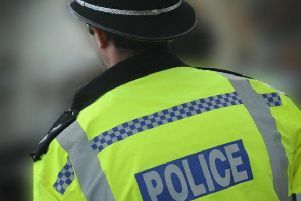 Detective Chief Inspector Bruce Riddell, of the Investigation Hub in Oxford said: “This investigation was highly complex, involving cross border liaison as the offender lived outside of the Oxford Local Policing Area. “Due to the sheer volume of evidence and investigative enquiries, it took investigating officers, PC Jamie Thornton and Detective Constable James Salt, considerable time and effort to bring Starkings to justice. “Their hard work meant he changed his plea to guilty, preventing the 20 victims further distress of going through a trial. “As part of Operation Bastion, officers are working hard to prevent and detect residential burglaries in Oxford. “If you have been the victim of burglary, we would encourage you to report it to us, so we can investigate and prosecute offenders.